Cutmypic was conceived by a team of goofy programers in Tokyo, that wanted to create a clean, simple, and easy to use tool so that people dont have to run a cpu hungry or difficult to use local application. Use it for your blog, avatar, or to give that picture a special touch of color. We hope you enjoy our software as much as we do making it. For questions or comments feel free to contact us anytime! If you would like to put Step 1 of CutMyPic into your blog or website, feel free to check out our easy to use tool. Just copy and paste one line of code into your webpage! 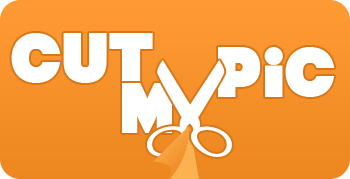 Welcome to the free online image cropper and web tool cutmypic! This tool will allow you to easily crop your images as well as add rounded corners and drop shadows in just seconds! If you have any problems cropping your pictures, just click on the help button! Edit your pictures online for free and have fun while you do it! online online online online web tool image resize resize resize resize image resizer resizer resizer resizer web tool web tool web tool tools tools tools tools cut cut cut cut picture picture picture picture pictures pictures pictures pictures free free free free free free cropping cropping cropping cropping round round round round edge edge edge edge edit edit edit edit editor editor editor editor cutter cutter cutter cutter crop crop crop crop cropper cropper cropper cropper image image image image image editing editing editing editing drop shadow drop shadow drop shadow drop shadow rounded corners rounded corners rounded corners rounded corners picture editor modify modify modify modify modification modification modification graphic graphic graphic graphic editing editing editing editing image cropper | Webツール 簡単 画像加工 写真加工 3ステップ 角丸め 影付き画像 ア>イコン作成 アバター作成 画像編集 写真編集 写真縮小 写真切り取り 画像切り取り "free online picture cutterfree online image cropper croppingfree picture cut resize resizerApple iPad News, Accessories, Rumours, Pictures, Images, iPhone, iPod, Touch, News!